I'm showing some shadows from our trip to the San Diego Zoo. Top right and lower left, taken from the Skyfari, aerial tram. We rode it four times, what fun. The others are a Black Neck Swan and a Malayan Tapir. Be sure to visit every one here. 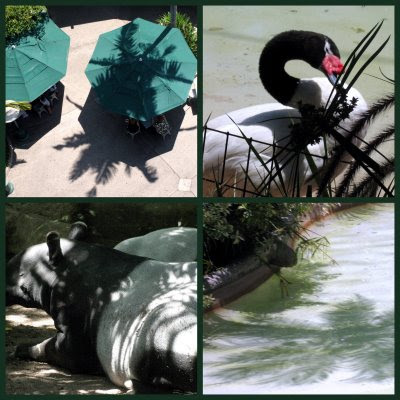 Love the SD Zoo and your photos ~ the black neck swan is my favorite. I love it that you play in so many fun memes. Love the palm tree shadow! Great Jan! Your critters sure seem to be enjoying their spots of shadows. Wonderful captures!! Shadows on umbrellas, I love it!! LOVE the palm tree shadow. Very nice! The palm tree shadow is my favourite one too! So much sunshine where you are, it's raining again here! DUH! 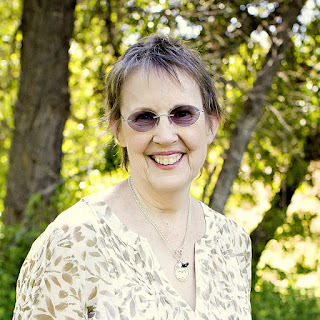 I have an award for you at my blog? Come and get it? Looks like a great place to visit. Bet that aerial tram was fun! Your shadows are beautiful... I especially like the goose? Is it a goose? His neck shows such graceful lines. The goose photo is a great shot, but too are the others. Great pictures. Glad you joined in the fun.